We are a leading Manufacturer of super heat resistant conveyor belts, heat resistant conveyor belts and ultra heat resistant conveyor belts from Pune, India. We are engaged in offering our clients with a quality range of Super Heat Resistant Conveyor Belt .These belts are widely used for power transmission purposes in various industries. 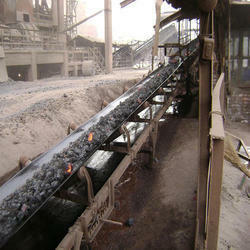 The belts offered by us prevent fire from spreading over the entire belt. These are available in various sizes, length, and other specifications to meet the exact demands of our valued customers. These are valued and exalted for their fine quality and consistent performance even under harsh working conditions. We export a wide range of superior quality Heat Resistant Conveyor Belts which are known for durability, high elongation and high capacity of heat resistance. We made these from best quality materials so as to accomplish the qualitative requirements of the clients. These grades are extensively used in pharmaceutical industries, chemical process industries and petrochemical industries. These are available at market leading prices. We manufacture a wide range of superior quality Ultra Heat Resistant Conveyor Belts which are known for durability, high elongation and high capacity of heat resistance. We made Ultra Heat Resistant Conveyor Belts from best quality materials so as to accomplish the qualitative requirements of the clients. Ultra Heat Resistant Conveyor Belts are extensively used in pharmaceutical industries, chemical process industries and petrochemical industries. 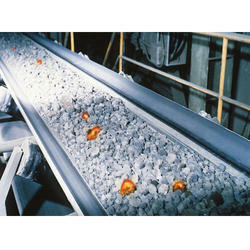 Ultra Heat Resistant Conveyor Belts are available at market leading prices. 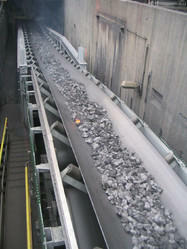 Looking for Heat Resistant Conveyor Belts ?